According to Nielsen and MMAFighting.com, the UFC 225 PPV preliminary on FS1 garnered 665,000 viewers. 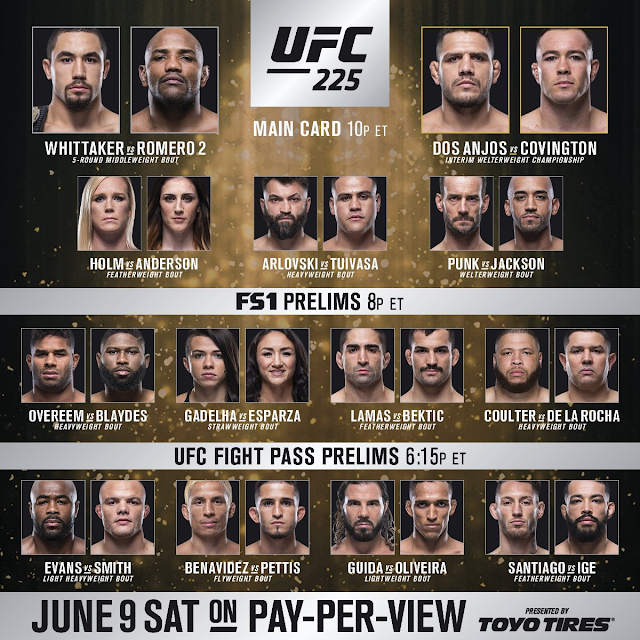 This was the second lowest preliminary card rating so far this year, beating only UFC 224, which aired on FX and drew 574,000 viewers. In 2017, only three of the 12 shows fell below that number. The rating peaked at 848,000 viewers for the preliminary card "main event" of Alistair Overeem vs. Curtis Blaydes.